To celebrate World Architecture Day we asked some of engineers to reflect on their favourite architectural project and explain how they helped to bring the architects vision to life and create buildings that are both functional and aesthetically pleasing. 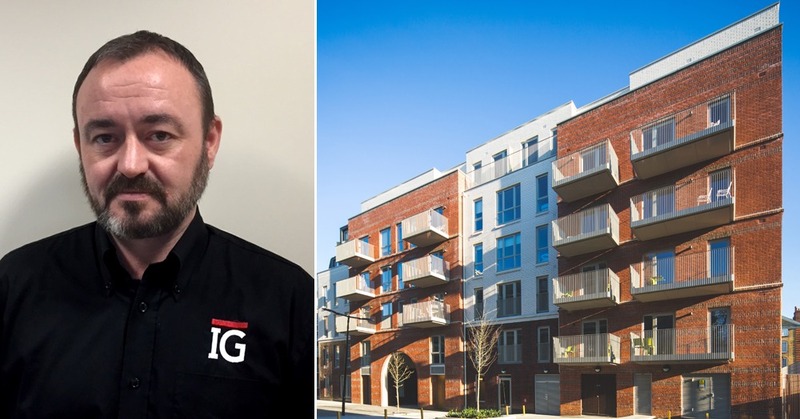 Steven Hall-Morgan, Technical Engineer at IG Lintels explains the challenges he encountered working on the Bourne Estate, a project in London’s city centre and the satisfaction he felt from contributing to the architectural landscape of the London skyline. The Bourne Estate scheme was designed to provide 75 new residential units in a mix of tenures, with improved public spaces in the London Borough of Camden. Working from height in a close city centre location such as London caused significant issues for the installation of the larger lintels further up the building. The ceramic gloss brick finish was a particularly tough issue as the ceramic finish is only to the surface of the brick, with the standard clay fired ‘red’ finish under. This meant that when the bricks were cut, the clay finish under was visible. Therefore, we have to look for an innovative solution to achieve the desired look for this prestigious project. It was decided that in order to conceal the red clay finish underneath, the bricks would have to be cut in a mitre fashion to ensure only the ceramic finish was visible. The cuts would have to be made extremely carefully as to make sure the ceramic finish on the mitre did not splinter. However the final result looks fantastic. As much as it was a challenge to find a solution which would fulfil the architect’s vision for the development, I have to say that the ceramic bricks really do look unique on a building of this type and scale, especially the contrast between the two colour types. Also the nature of the ceramics should ensure the building still looks fresh in many years to come. It’s always satisfying to make a difference to an architectural design, and to ensure that it can be achieved with great success. In a city such as London, where there are many examples of fantastic architecture and an ever changing skyline, I’m fortunate that I could contribute to such a vision.